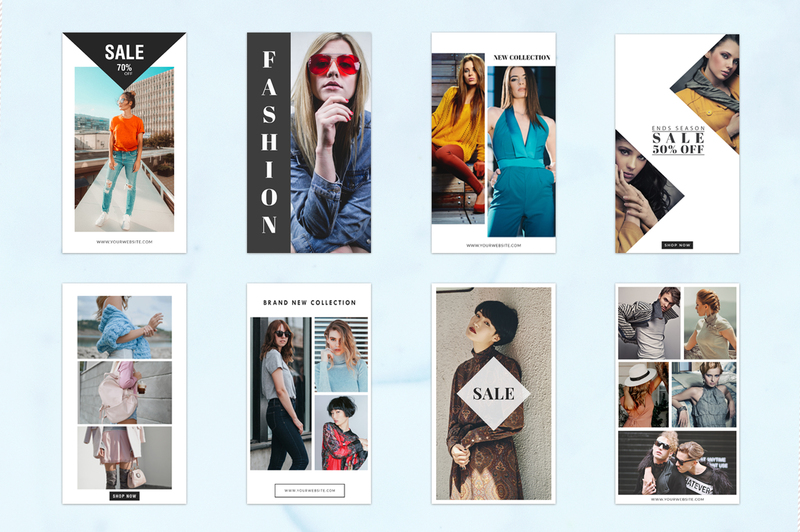 The Fashion Instagram Stories Pack includes 25 unique design templates made with love. 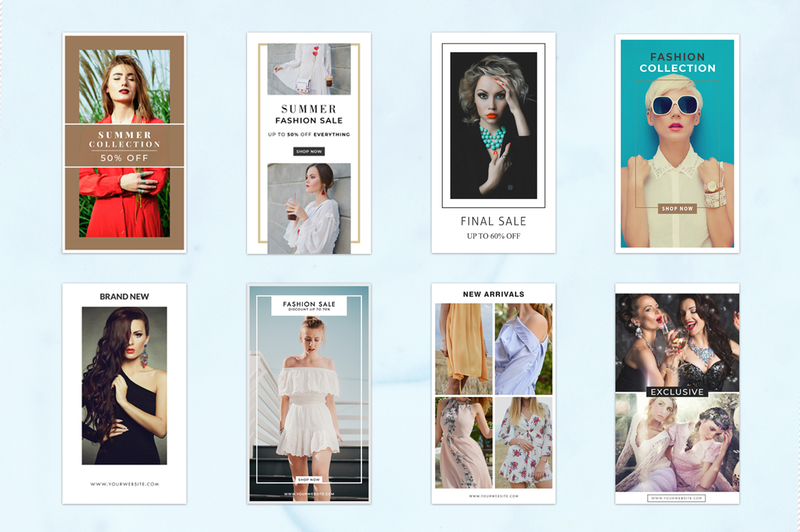 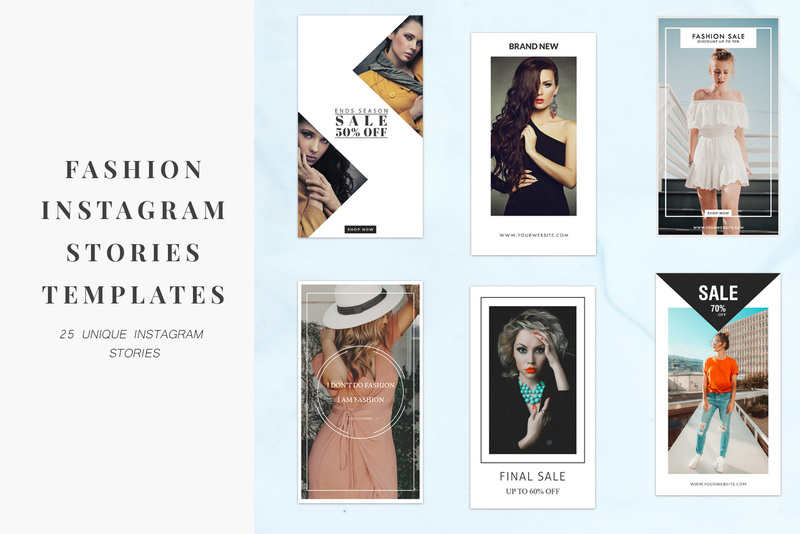 These templates are perfect for fashion brands and boutiques, as well as designers and bloggers that want to promote and sell their products through Instagram. 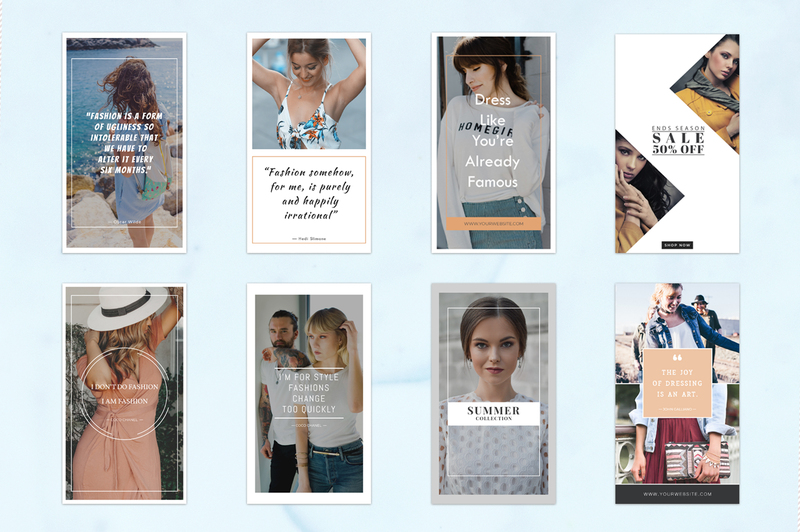 Now, with these 25 PSD Instagram Stories, you can take your feed to the next level in just a few minutes.